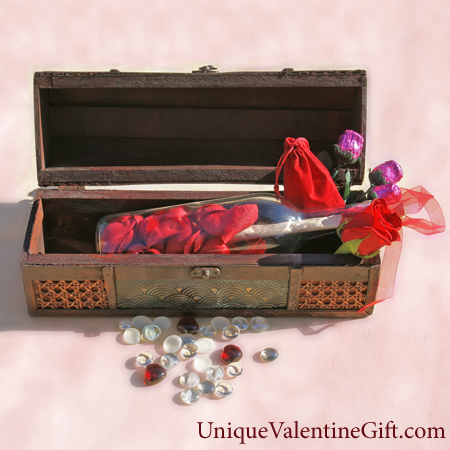 Unique Valentine Gift presents the Hearts and Roses Edition Message in a Bottle. I love you. Those three words are very special words to me. Before I met you I didn't truly understand what these words really meant. Those three words symbolize not only my love for you but my devotion and fidelity to the one and only person I have ever truly loved. And that is you. Never have three words meant so much to me because they say what my heart already knows and what I feel deep in my soul. I love you. Today, Tomorrow and Always.